Traveling is stressful, and you want nothing more than for it to go smoothly and quickly. If you’re taking a trip to the St. Paul-Minneapolis area, call up Super Express Taxi to arrive at your hotel safely and in a snap. Super Express Taxi is dedicated to providing quality taxi service in a timely and efficient manner. Super Express Taxi understands how overwhelming it is to travel in a new city. They’re a locally owned and operated local taxi service with 10 taxis in the St. Paul-Minneapolis metro area, so there's always a ride available to accommodate your needs. With years of experience, their drivers and dispatchers know the ins and outs of the area, including the most effective routes to all the hotels and major tourist or business areas in the city. In addition to being knowledgeable about the city, Super Express Taxi drivers are friendly and helpful. They’ll make sure you're comfortable the entire way to your hotel. Their taxi drivers are also fluent in both Spanish and English, so you can use your native language to communicate with them. 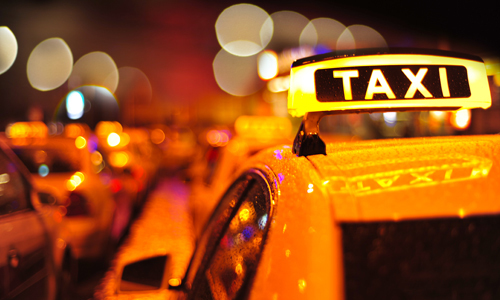 You don’t have to worry about a taxi driver arriving late when you use this Minneapolis taxi service. When you call Super Express Taxi, they’ll dispatch their closest driver immediately to your location. They make sure to keep a fleet of cabs on standby. They won’t keep you waiting at a busy airport or stuck on an unfamiliar street in the snow. Super Express Taxi always provides prompt service so you can enjoy your entire trip! When you take a trip to the St. Paul-Minneapolis metro area, call Super Express Taxi at (612) 722-5859 for a speedy ride to your hotel. Be sure to visit their website for more information, and if you're a fan of their taxis, like them on Facebook for promotional offers and updates.